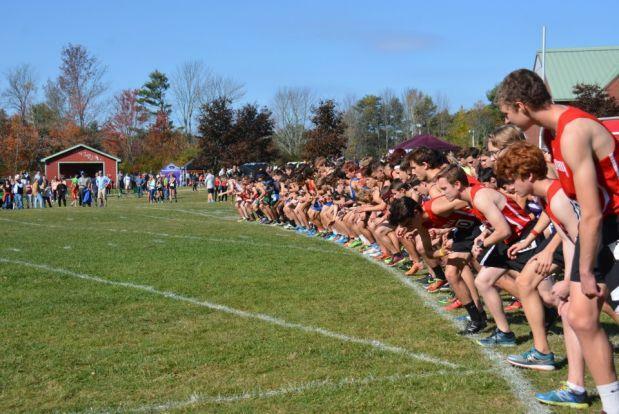 Below can find links to the virtual meet rankings for Regional Championships in Maine based on current season best performances in the MileSplit database as of October 18th. Customize and adjust the virtual meets as you see fit! Check out our new and improved virtual meet rankings on MileSplit, which has experienced some major overhauls and improvements as well as incorporated features from the XC team scores. Virtual Meets allow you to create your dream match up. Want to find out what the meet this weekend might look like? Want to face off the top teams in the state or the country and see who wins? Put in your conference or district? Mash up all of the meets from last weekend and see who wins the super meet? Now you can do all of those things and a lot more. Build your meet based on an upcoming meet (using who is entered in that meet), use teams and results from previous meets, or create your own from scratch. Once you create the meet based on your custom settings, you can then even edit the meet by changing the times or scoring settings. Scratch an athlete you know to be hurt. Add a new freshman that hasn't run yet, but you expect them to be a factor. It's your virtual meet! Now go have some fun with it!